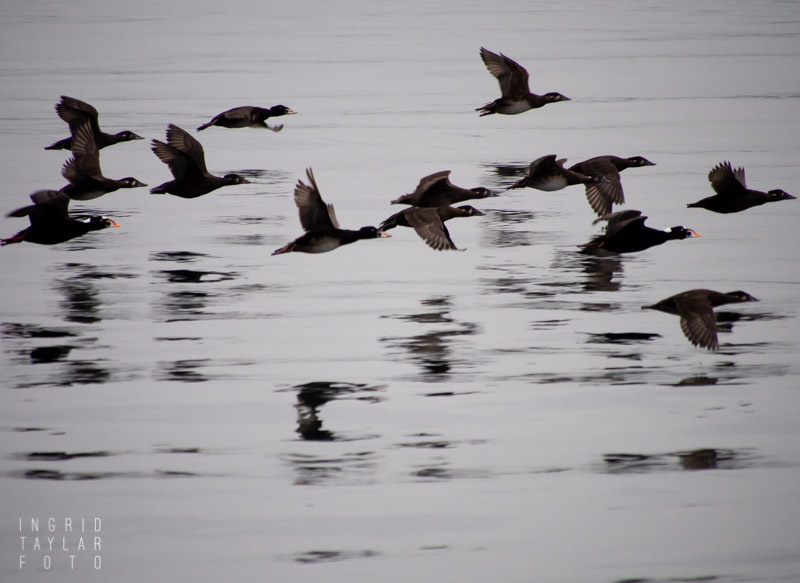 I spotted my first migratory ducks on the urban shores of Elliott Bay last week. The new arrivals are on edge — wary and easy to flush. Lifting my lens is enough to send them skittering to the middle of the bay, and I can only imagine what sights and sounds have jarred them into high alert on their long journey home. I think of how far the winter ducks soar, finally dipping into Puget Sound on wings strained by wind and weather, after miles over glass towers and railroad tracks, highways and hunting fields. Pushed by cold fronts as they seek shelter and grub, they want to rest and recuperate. I want to let them do just that. 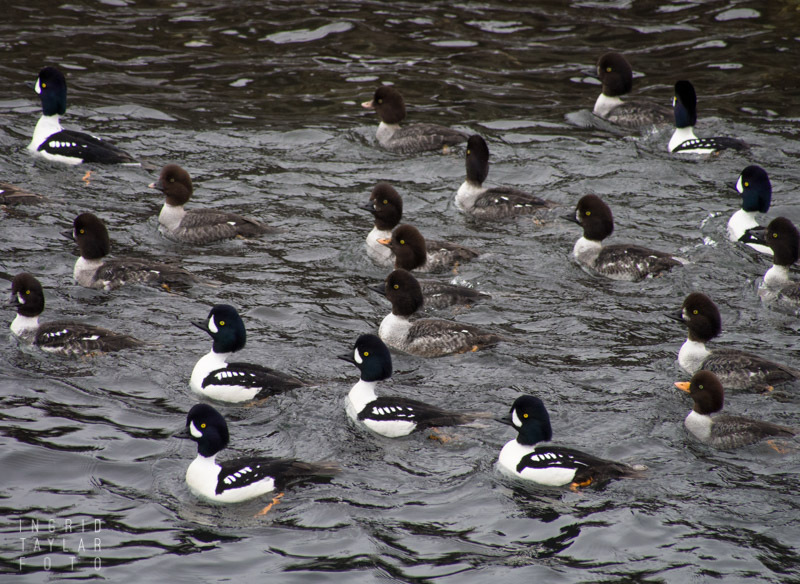 I snap an image of a Goldeneye group. They linger, hesitating fifteen minutes before daring a swim past the active pedestrian path on a bluff above the harbor. Their eyes tilt up toward the shoes and paws tramping across the pavement. 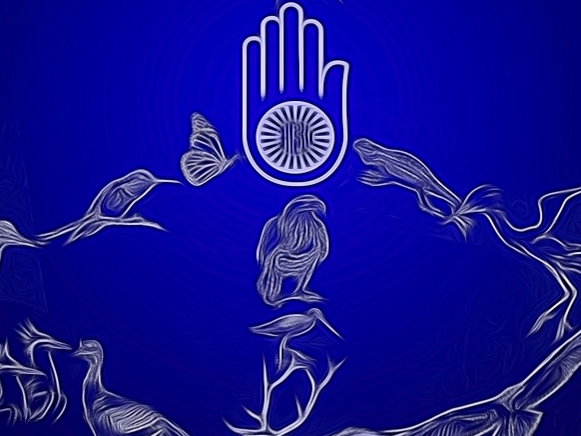 They paddle forward with resolve, then seem to lose courage and back peddle. They synchronize dives below the swells. I don’t dare raise my camera to my eye, knowing the likely outcome: twenty sets of frantic wings slapping retreat from the shore. I set my camera in my lap with the LCD swiveled up, looking down into it as if I’m paying no attention. Still, I know they’re onto me. 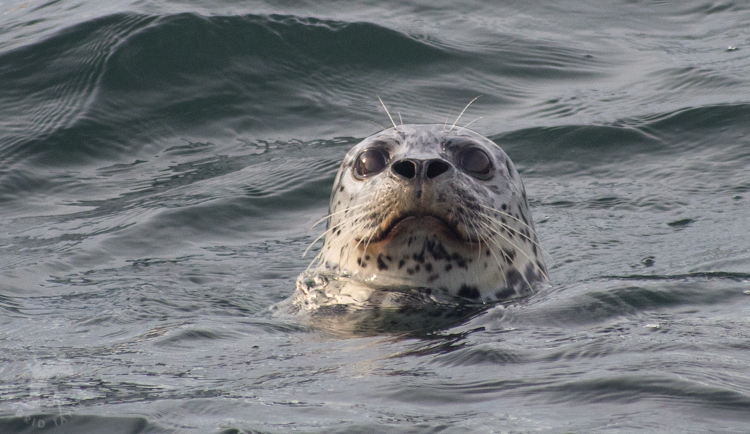 I look up to catch a harbor seal looking right back at me. 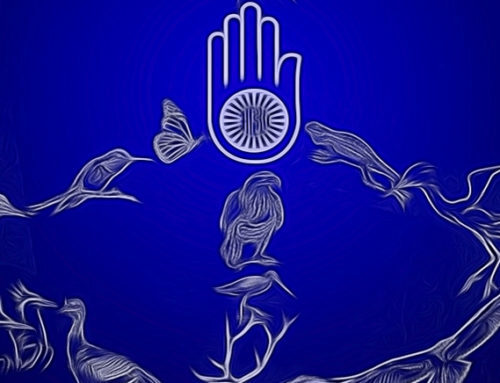 I send the Goldeneyes a mental signal, hoping that through some cosmic conduit they’ll get the vibe. But, ducks know better. They’ve seen it all, and they’ve done even more. They’ve dodged shotgun pellets, blizzards, eagles, and shipping lanes to be here again, landing in the harbor every year as they did the year previous, growing older if they’re lucky, into the savvy ducks they are meant to be. So, I’ll wait until they acclimate to our waters before I try again to capture their beautiful selves. The Surf Scoters, I know, will always be leery. The glimpse of a shadow, the silhouette of a kayak, the distant bark of a dog, can all send the scoters into a frenzy of flight. 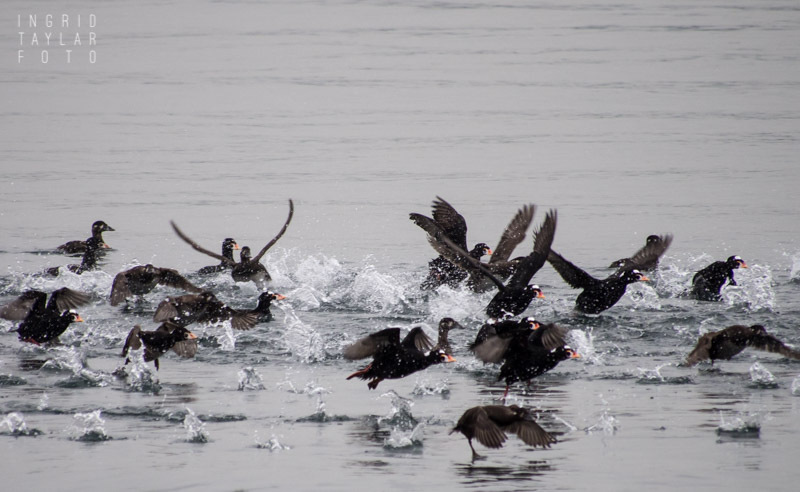 You can never be safe enough if you’re a sea duck. In the meantime, welcome home, my friends. Stay in Seattle, safe from the unknowns and close to your favorite amenities: mussel beds on pier pilings and flatfish at low tide. 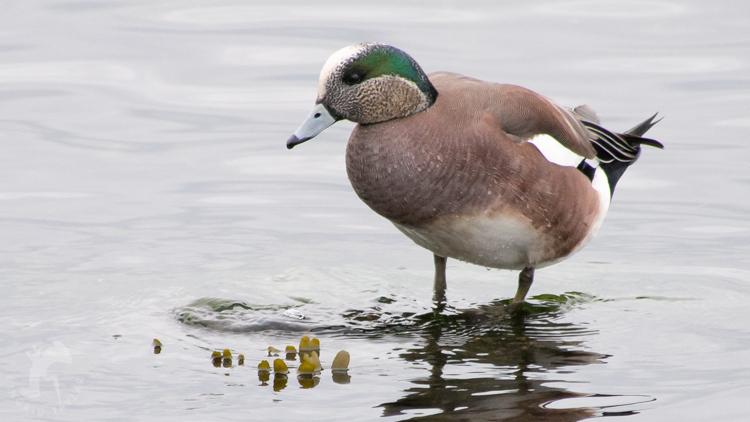 A few photos I took last year … of the species I saw today: Barrow’s Goldeneyes, Surf Scoters, and American Wigeons. Ferries and mist make for one of my favorite backdrops in the winter. 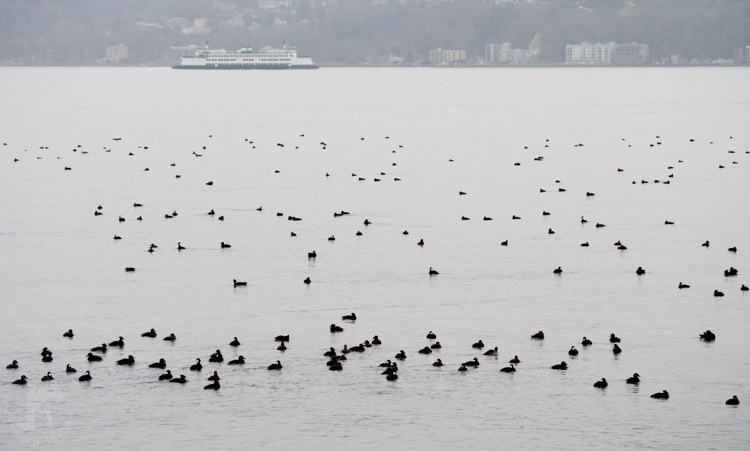 This is part of a huge raft of Surf Scoters, Goldeneyes and American Wigeons who forage along the shorelines and piers in Seattle. 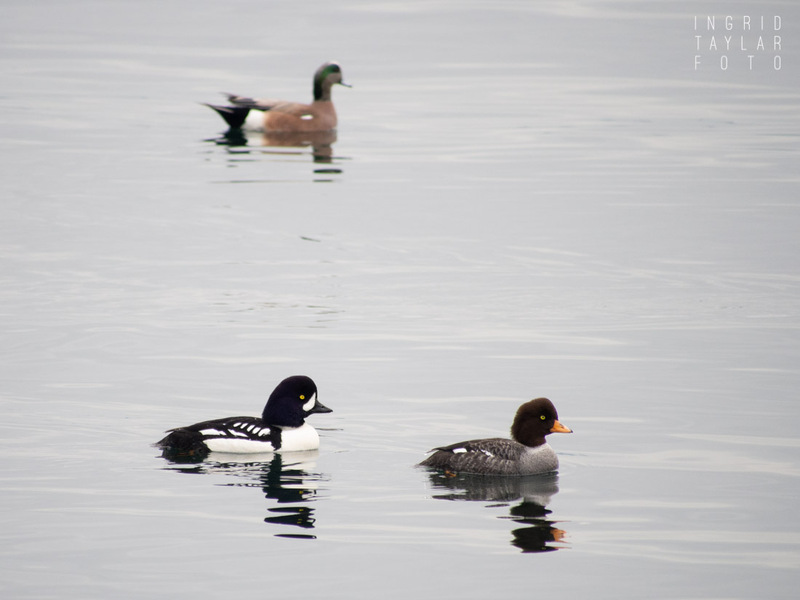 A Barrow’s Goldeneye pair swims past an American Wigeon looking on. An American Wigeon male standing near his mate, on rocks exposed at low tide on Elliott Bay. 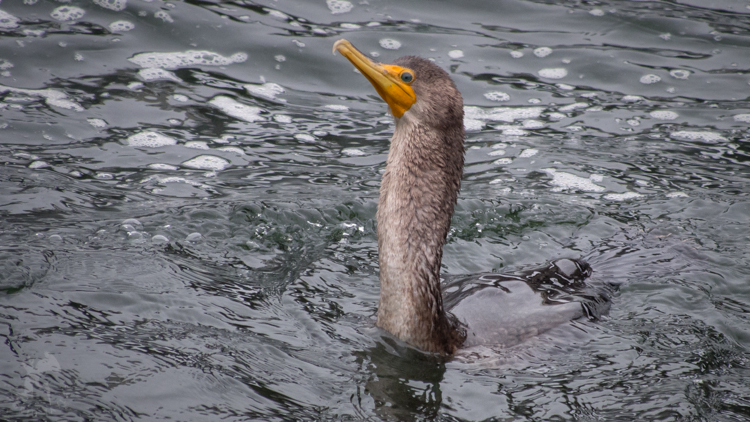 Where there are sea organisms for diving ducks, the cormorants will also follow. Our Double-crested Cormorants are now back from their nesting areas and roosting in trees along the ship canal that leads from Puget Sound to Lake Washington. During the day, they’ll be where the fish frenzies are. This cormorant just swallowed a meal.